Chemical Engineering, Pharmacy and Teacher Education. USC regularly enrolls at least 25,000 students from elementary to tertiary/graduate levels. USC’s Office of External Affairs handles 350 international, national-regional and local academic linkages and partnerships on faculty and student exchanges, joint research projects, publications and internships; it accepts a steady influx of international students from different countries, and receives visiting lecturers from Asian, European and American universities. A school since 1595 and a University since 1948, USC, since 1935, has been administered by the Society of the Divine Word, an international religious-missionary congregation of priests and brothers established in Steyl, Holland in 1875. Rev. Fr. Dionisio Miranda, SVD, STD, is the incumbent University President. 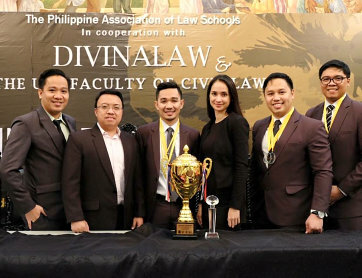 The College of Law of the USC School of Law and Governance is among the law schools in the country conferred by the Legal Education Board with Award for Excellence in Legal Education. Its passing percentage in the Bar Examinations is consistently high. The College has also produced bar topnotchers over the years. In the 2016 Bar Examinations, the College registered a 100% passing mark for its 2016 graduates, and occupied the first, third, seventh and eighth places. 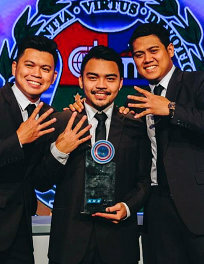 It aims to develop competent and socially responsible lawyers and lifelong learners in an environment that fosters excellence in the academic core processes of teaching-learning, research, and community extension service within a Catholic education that embodies the principles of academic discipline of San Carlos Borromeo and the missionary charism of the Society of the Divine Word (SVD). It is presently offering Bachelor of Laws and Juris Doctor programs on a semestral basis. Paralegal Certificate is conferred to those who are able to complete the second year of any of the two degrees, thereby making the College the first in the country to offer enhanced law degrees bearing features of a ladderized program. 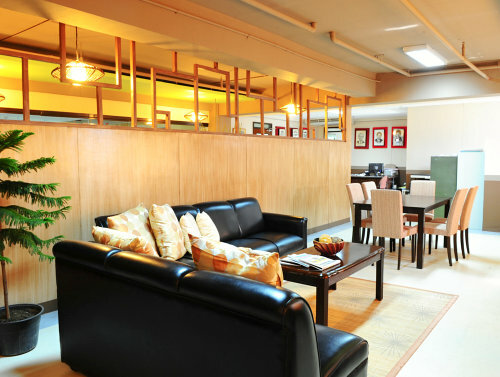 Its facilities include spacious fully air-conditioned library with computer room and perk area; fully air-conditioned classrooms equipped with multi-media instructional facilities; wi-fi connection; two (2) moot courts; separate Clinical Legal Education Program (CLEP) and student organizations office; law conference room and faculty lounge. Its law library was named one of the Model Law Libraries in the country by the Supreme Court, and is the first law school in the country to provide the bundled services of CD Asia Online and Lexis Nexis to its students. The College of Law is also among the largest law schools in the country, with an average enrolment of close to seven hundred students, male and female in almost equal proportion. Approximately thirty (30%) percent of its students are working in public or private offices. It also welcomes foreign students and faculty under its various exchange programs. The College is the only one with Staff and Student Exchange Program with Stockholm University, Sweden. It also has a Supreme Court- accredited Clinical Legal Education Program, and is an accredited MCLE provider. The College has also distinguished itself in various competitions, both in the Philippines and abroad. Among its distinctions are: fourth time champion in the ANC Square Off: The Firm Debates, back-to-back champions in the Philippine Rounds of the Philip C. Jessup International Law Moot Court Competition, Southeast Asian Regional Rounds Champion in Stetson International Environmental Law Moot Court Competition, Champion in the International Round of Stetson International Environmental Law Moot Court Competition held in Gulfport, Florida, USA, Octo-finalist and Best New Team in the 2015 Philip C. Jessup International Law Moot Court Competition, and Champion in the Asia- Pacific Round of the Price Media Law Moot Court Competition held in Beijing, China. It likewise ranked third in the recently- concluded International Rounds of Price Media Law Moot Court Competition in University of Oxford, England.